Backed with extensive industrial experience, we offer quality assured Ring Separators, which are used textile and spinning machinery. Further, these machines are fabricated with quality materials, thus making these machines highly durable and long lasting. Moreover, our range of machines is highly acknowledged for its high end features such as corrosion resistance, sturdy construction and high operational performance. We offer these machines at very economical prices. 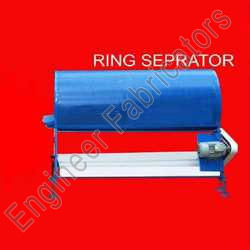 We are prominent manufacturers and exporters of wide range of Ring seprator.